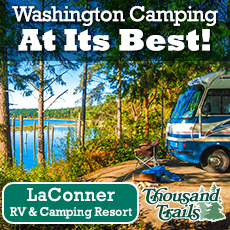 La Conner is one of those places in Washington State that people love to visit – time and time again. 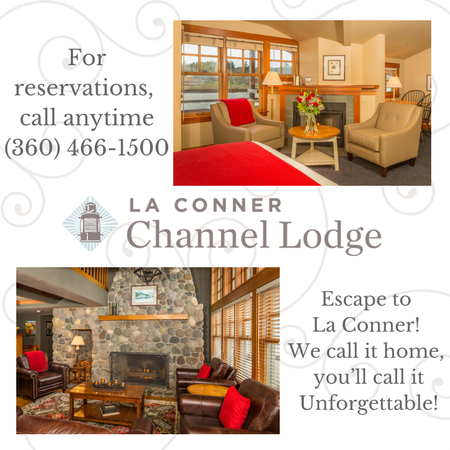 The reasons are many, but one that stands out is that there are so many things to do in – and around – La Conner! 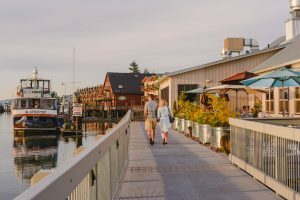 The Skagit Valley offers four seasons of activities, and La Conner offers interesting and fun activities nearly every weekend, all year long. Travel guides nearly always include the must-do things – like attending our Arts Alive! event in November, or our holiday boat parade, or the Classic Boat and Car Show in August. But there are lots of things to do and see in La Conner that you won’t find in any travel guide – things like finding one of the oldest European Birch Tree on the West Coast (planted in 1890), or visiting the only known totem pole carrying the likeness of a U.S. President. 1. 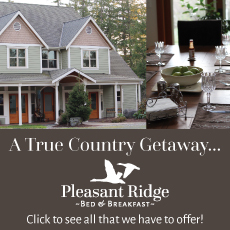 October – April, arm yourself with camera and binoculars and view the beautiful Trumpeter Swans & Snow Geese, perfect “base” for a weekend getaway in Washington State. 2. Find the European Beech Tree planted in 1890, thought to be the largest one of its kind on the West Coast. 3. Look for a Dunlap tug boat towing a raft of logs through the Swinomish Channel, under the Rainbow Bridge. 4. Bring the family and take part in the Museum of Northwest Art (MONA) Family Art Days, part of La Conner’s Art Community. 5. Dress up your boat and join in the Opening Day Boat Parade in May or the Lighted Boat Parade in December, stay for a weekend getaway. 6. Stop by La Conner Marina for the annual Father’s Day Swap Meet and Boat Show, hosted by La Conner Yacht Sales. 11. 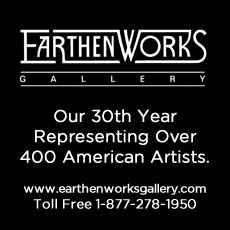 Art’s Alive! The best celebration in town comes at the beginning of November. A great time to shop for the holidays! Stay the weekend and enjoy this Best Tiny Town in Washington. 14. Find out how La Conner got its name at the Louisa Ann Conner memorial located in Pioneer Park. 15. Get away for a romantic weekend. La Conner has been voted one of the top 5 best places to kiss. We know romance! 16. Participate in the annual Smelt Derby in February, sponsored by Rotary Club of La Conner. 17. Take a walk on the wild side by visiting our Swinomish Channel studded with Seals, Bald Eagles, Great Blue Herons, & Otters. 18. 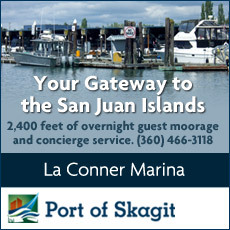 Walk along the La Conner Marina (north & south basin) and view the classic, new and used boats. 19. Get on the mailing list of your favorite store and attend their promotions. 21. Each La Conner merchant carries unique items, not duplicated in town. They can ship your selection to you also! 23. At the roundabout, enroll with La Conner’s local farmer for the summer co-op. Pick up your share of freshly grown organic produce. 24. Refresh during the summer with an ice cream cone at the La Conner Ice Cream Tower, an old water tower moved into La Conner. 25. Explore Magnus Anderson’s hand split-log cabin built in 1869, located by La Conner’s Town Hall on Second & Commercial Streets. 26. Admire the beautifully refurbished Sacred Heart Catholic Church built in 1899. 27. Visit the famous Swinomish Indian totem pole on the west bank of the Swinomish channel – one of very few totem poles carrying the likeness of a U.S. President; in this case Franklin D. Roosevelt. 28. Tour the Pacific Northwest Quilt & Fiber Arts Museum in La Conner, one of only 14 quilt museums in the U.S.
29. Walk across the Rainbow Bridge built in 1957 and now a National Landmark. Watch the pleasure and working boats pass below. 30. 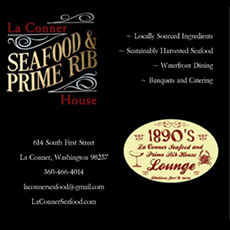 Dine in style on world-class cuisine at one of La Conner’s many restaurants, perfect for a romantic getaway. 31. 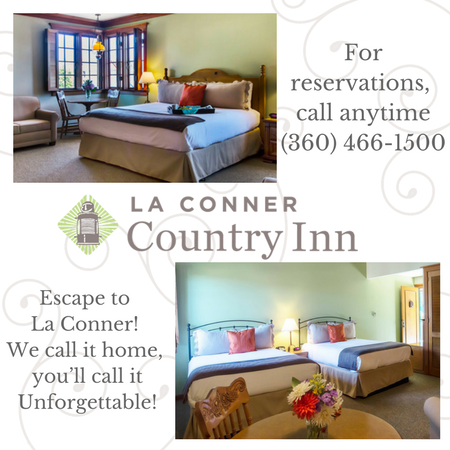 Plan on staying several nights in La Conner at a collection of first rate accommodations, perfect for a girlfriends getaway or romantic adventure. 32. Explore La Conner’s history. Look for plaques on buildings, parks and statues for clues to the past. 33. Take in the slower pace of this special waterfront town. Sit with locals and find out what makes La Conner, well, La Conner! 34. Enjoy the sites of the old and new architecture within La Conner, all of La Conner is designated a Historical District. 35. Wine taste at several La Conner’s shops, “sip” back, relax and enjoy! 38. Enjoy the annual La Conner Classic Car and Boat Show in August. 39. Hike Pioneer Park’s new Trails, look for the “letterbox” June – October. 40. View the mural at Pioneer Park, located under the Rainbow Bridge – a historical landmark. 42. U-Pick apples, strawberries, raspberries, or blueberries from Skagit Valley’s local farms. 44. Watch as boats are lifted out of the water using a giant lift at La Conner’s Marina. 45. 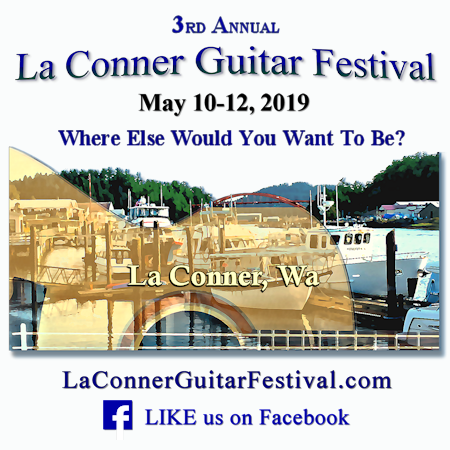 Take a Seaplane Flight Excursion during April, fly to/from Seattle-La Conner. 46. Enjoy the turret-room view from the historic 1891 Gaches Mansion, a 3-story Tudor style Victorian home turned-museum. 47. Take time to watch (or participate in!) Soundrowers Open water Kayak Races in February on the Swinomish Channel in La Conner. 48. Enjoy the site of an original, hand carved river canoe located by La Conner’s Town Hall. 49. Stop by our visitor’s center to pick up an area map of La Conner and ask our knowledgeable Visitor Information Center volunteers your questions. 50. Meander through our vintage shops. You may find something that brings back memories! 51. Stroll the village while enjoying handmade chocolates, scones, fudge and coffee from the specialty stores on First Street. 52. Relax on a waterfront bench and count the boats, consider staying for a getaway in La Conner. 53. Go bird watching. Skagit Valley is one of 5 major flyways for migrating birds, including Snow Geese and Trumpeter Swans. 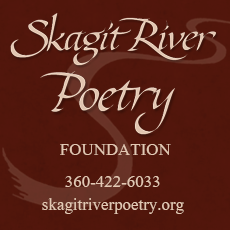 Celebrate the County wide Skagit Valley Winter Birding Festival Mid January through mid February. 54. Cruise through Deception Pass on a jet boat that takes you around Deception Island (April-October). 55. Pack a picnic and take your boat out to explore one of the small islands, including Hope, Goat, Skagit, Cypress, Saddlebags and many more. 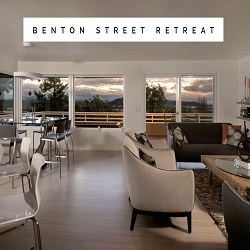 Stay a night and experience all of the sounds and quiet. 56. Visit Kicket Island, the newest acquisition by Washington State Parks and open to the Public for the first time. 57. Catch a ferry to the San Juan Islands or Sidney, B.C, use La Conner as your “base” and explore the vicinity for a few days. 59. Make time to walk, jog, or bike the Padilla Bay Trail, or Anacortes’ Washington Park. 60. Experience the self-guided Walking Tour of La Conner’s Sculpture Exhibit, changing each year. 61. Hike the Cascades. Mount Baker is covered with trails for the novice to the experienced hiker. This is an adventure you don’t want to miss. 63. Plan a girlfriend’s trip to get all of your holiday shopping done and then treat yourself to a massage, manicure, pedicure, body wrap, facial or more! 64. Reserve some time after shopping to enjoy a hand-mixed ‘lemon drop’ at one of La Conner’s charming restaurants. 66. Visit Padilla Bay National Estuarine Research Reserve and discover what marine life lives in the Salish Seas waters. 67. Rent a movie from the gas station, Pioneer Market, or stop by the Library and pick one out with your library card. 68. Pick up a La Conner Weekly News to read about all the happenings in La Conner, published every Wednesday and sold at newsstands around town. 70. Stretch yourself at a yoga class. 71. Attend a lecture at one of our three museums. 72. See the Valley from the seat of your bike during the Tulip Pedal, the MS Tour, or your own bike tour. 73. Tip toe through the famous Tulip fields & enjoy the Tulip Festival throughout Skagit Valley. Gorgeous display gardens at two growers. This is a must for all ages. 74. Watch the fun “Tulip Frolic Parade” during the Tulip Festival in La Conner. This year was the biggest parade yet! 75. Plan your dream wedding. La Conner has the venues, flowers and catering. The most spectacular weddings happen in La Conner. 76. La Conner has Wi-Fi. Pull up a bench, or a spot of green grass and get connected. 77. Enroll the kids in La Conner’s Regional Library for the Summer Reading Program. Prizes for those who keep reading all summer. 78. Take a minute to enjoy the Garden Club’s community Butterfly Garden, located on Second Street. 79. Bring your easel and your palette and paint the beauty around you. Just pick a place and let your imagination take wing. 80. Visit La Conner’s Skagit County Historical Museum with your family. What a great view of our local history and the Valley! 81. Take the kids and dog for a wonderful hike out to Craft Island. This is a short hike with lots of swimming and miles of beach at low tide. 82. Go to a movie at the restored, historical Lincoln Theatre in Mount Vernon. 83. Drive to the top of Mt. 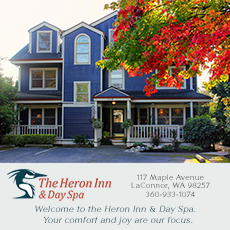 Erie and watch the sunrise or sunset over the San Juan Islands. 84. Go to the Swinomish Casino and play bingo, slot machines, tables or enjoy a comedy act. 86. Stroll up N. Third Street past the south marina and over the slough. There you will find a 20,000 lb anchor from the USS Commencement Bay. Built in Tacoma, WA in 1944. 87. Take the kids to John Hammer playground on Moore St. to climb and swing in a safe, fenced area – plenty of parking. 88. Stop by the Volunteer Fireman Museum on First Street and see the once state-of-the-art fire truck built in 1850. Used for the great fire in San Francisco in 1906 before making it’s way to La Conner. 89. Look up! What are those loud planes flying over? Probably EA-18G Growlers from the Whidbey Naval Air Station practicing their maneuvers. 90. 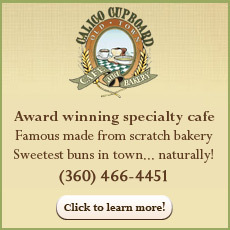 Check out one of Skagit County’s oldest landmarks. Originally built in 1885 as a bank later used as the jail, now La Conner Town Hall on Douglas Street. 91. Wow! Check out the cross-section of a giant cedar located on First Street next to the public restroom. The tree this came from started growing around 1260 AD and measures 11 feet, 8 inches across. Now there is a historic timeline display. 93. Come to the Senior Center at Maple Hall every Tuesday for lunch and/or classes for all ages; movies, speakers, fun and games! 95. Sip a locally made microbrew at La Conner’s microbrewery. Celebrate Beer at La Conner’s Beer Fest – Brew on the Slough each October! 97. If you’re a lover of antiques or vintage/thrift/consignment shops, we have quite a few in La Conner … you’re sure to find a new special treasure for your collection. 98. Don’t miss our new bike racks, scattered about town. Do you know how many of them we have? 99. Check out the La Conner Swinomish Skateboard Park at the north end of 6th Street, near the La Conner School District properties. 100 Stop by Nasty Jack Antiques and have your photo taken at their Old Time Photography Studio. 101. Visit St. Paul’s Catholic Church on the Swinomish Indian Reservation. Brought to the Reservation from Olympia via canoe (and over land) in 1868.